Are you interested in doing an instructive, challenging internship on a JR Shipping container vessel? We would like to meet motivated nautical college or university students (MBO4 / HBO) who are prepared to put their shoulders to the wheel, are not afraid to ask questions and show initiative, and make their internship into a success. Send a properly substantiated letter of motivation, which proves that you have studied our organisation and company culture, and your well-organised CV to jobs@jrshipcrew.com. Let us know why you are the best candidate and indicate when your internship should start. If you are a second-year student, please apply not later than 30 November. As a third-year student, your application must have arrived on 31 August at the latest. Are you a maritime student with Russian, Ukrainian or Philippine nationality and interested in a traineeship at JR Shipping? Are you inspired by our company culture and values and prepared to work hard, show initiative and ask questions? We might have the right maritime internship for you. 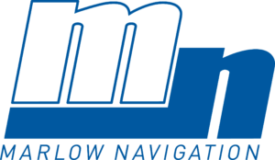 Please contact Marlow Navigation. If you want more information first, please contact our crewing department. A recognised work placement company, JR Shipping organises short-term group internships for second-year students in coordination with Maritiem Instituut Willem Barentsz on Terschelling (www.miwb.nl). This initiative has been made possible by Het Platform Beroepsonderwijs. Would you like to receive more information about your chances as a student to gain experience on board one of our vessels within our JR MasterClass programme? Please contact our crew officer, Laura van der Veer by telephone +31 (0)517 – 431 225 or e-mail jobs@jrshipcrew.com.